Compelling biographical profiles? Check. Exclusive interviews with film and TV icons? You bet. Gorgeous illustrations? Absolutely. 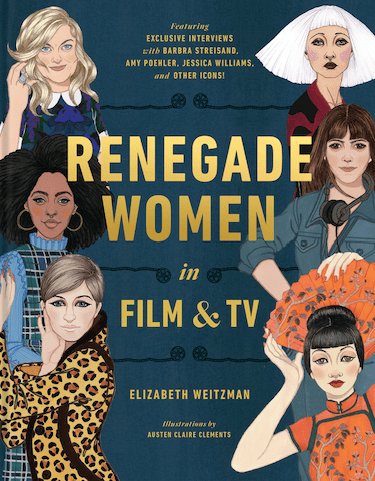 Elizabeth Weitzman’s Renegade Women in Film and TV celebrates 50 revolutionary women, including everyone from “19th-century iconoclast Alice Guy-Blaché to 21st-century trailblazer Ava DuVernay.” So whether you want to read interviews with Amy Poehler and Rita Moreno or learn about “overlooked pioneers” like Anna May Wong and Alla Nazimova, this book has something for you. We especially love Austen Claire Clements’ illustrated portraits of the women profiled—a handful of which you can view below. All illustrations by Austen Claire Clements are reprinted with permission from Renegade Women in Film and TV by Elizabeth Weitzman, copyright© 2019. Published by Clarkson Potter, a division of Penguin Random House, Inc. Renegade Women is a must-read for anyone intrigued by the history of Western entertainment, and it’s available now from publisher Clarkson Potter.